Dancing. Cooking. Programming. What you do better than anyone else is your ninja power. Honor your ninja power by providing it with a .ninjadomain and show your expertise online in a new and fascinating way. Get the attention of people who are interested in what you do best. 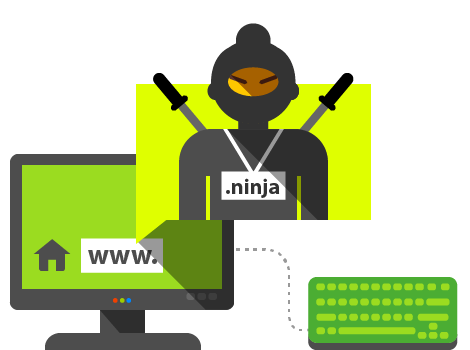 Get your .ninja domain name before someone else does, because, let's face it—being a ninja is awesome!